As expected, Rogue One: A Star Wars Story dominated the weekend leaving little room in the news cycle for anyone else. With an estimated $155 million domestically from 4,157 theaters, Rogue One is off to a good start in line with studio expectations as it is already the 15th highest grossing release of 2016 after just three days. 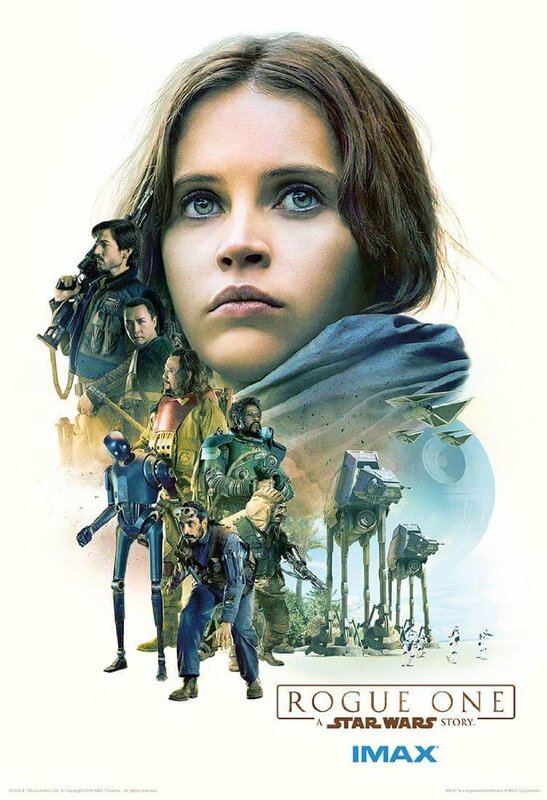 With that opening the film also currently holds the status of the fourth largest December three-day weekend ever, the third largest opening of 2016, the twelfth largest opening of all-time, and only the second December opener to debut over $100 million behind only The Force Awakens ($247 million) last year. To say that Rogue One only opened to $6 million more than The Force Awakens did in its second weekend is somewhat unfair, but it gives a slight indication of just how different these caveat-type films will do when compared to the straight anthology movies. What has been more interesting than anything is the vast array of reactions the film has garnered. It truly does seem to be as if the reactions are across the board on this thing as the film itself was very much a hot topic of conversation everywhere you went this weekend (especially if people know you love movies). Personally, and you can read this in my written review, I found the film to be a mixed bag of spectacular visuals and solid action set pieces while lacking somewhat in the plotting and majorly in the character development. My biggest issue with the film being that I never was able to invest in this new cast of characters as much as I was in even Rey or Fin from last years Star Wars film. The Force Awakens might have been a safer, more by the numbers piece of the Star Wars universe, but while Rogue One takes on the mentality of a full-on war epic mixed with a heist film it is the aesthetic of such films applied to the Star Wars universe that proves to be the most appealing aspect of director Gareth Edwards' effort. Well, that and Alan Tudyk's K-2SO. Regardless, be sure to check out our thoughts on the film via our video review after the jump and as always, follow us on Instagram, Twitter, and subscribe to our YouTube channel as we have a new review (or reviews) up each week! Read my full Rogue One: A Star Wars Story review here.